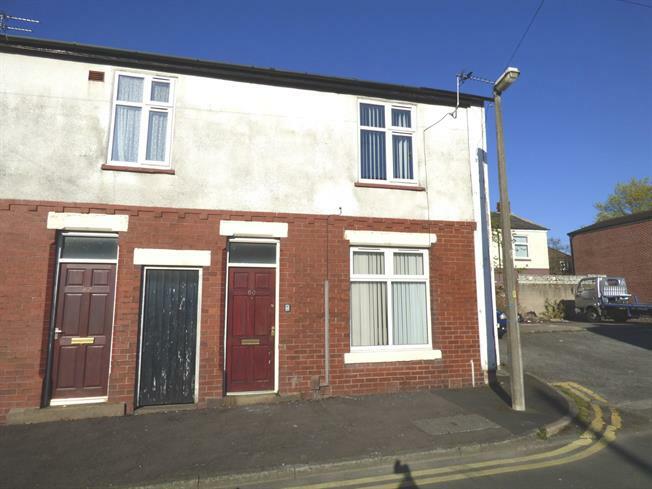 2 Bedroom End of Terrace House For Sale in Preston for Asking Price £55,000. ATTENTION FIRST TIME BUYERS!! Two bedroom semi detached home within a cul-de-sac location offering no chain delay. Requiring modernisation would make a great project. The accommodation briefly comprises; vestibule, lounge, kitchen, to the first floor, two bedrooms and modern bathroom. Double glazing and gas central heating system, yard to the rear. Stipulation to say owner occupiers only, no buy to let investors, no Council grants available, must be refurbished within 12 months. Wood panelled door to the front. Double glazed window to the front, radiator and meter cupboard. Double glazed window and wood panelled door to the rear, radiator, space for sink, under stairs storage housing the boiler. Staircase leads from the kitchen to the first floor landing and storage room. Modern three piece suite comprising; bath, wash basin, low flush wc, radiator and part tiled walls.